Your Wizard of Oz production will not be complete without this essential character! 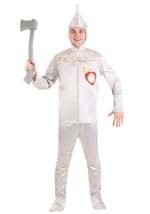 We carry Tin Man costumes for adults as well as child and teen Tin Man costumes. Join Dorothy on her adventure through Oz when you become her friend the Tin Man in one of these authentic-looking costumes.